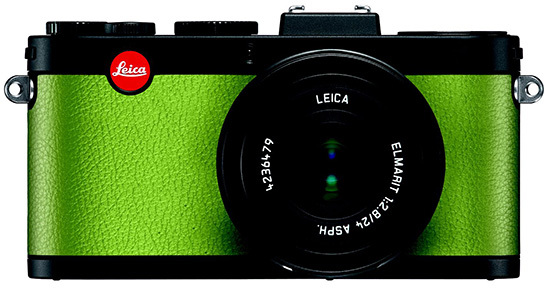 Solms, Germany (September 17, 2012) - Leica Camera announces the expansion of the ‘Leica à la carte‘ program, the exclusive concept for creating a Leica camera custom tailored to your personal taste. From vibrant and fashion forward to understated and discreet, Leica will offer a selection of styling options for the Leica X2 compact camera beginning in late October 2012. The Leica X2 continues the brand’s rich photojournalistic heritage in both style and function. 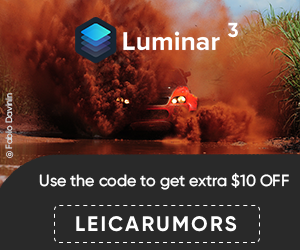 First offered in 2004 for Leica rangefinder 35 mm film cameras, the ‘Leica à la carte’ program allows customers to select from a wide range of finishes and features. The resulting, uniquely personalized camera is then hand-crafted at the Leica Camera factory in Germany, a true statement piece to showcase a love of, and a passion for, photography. In addition to the ability to capture fleeting glimpses of life, the Leica X2 boasts a particularly elegant design, harkening to traditional Leica M cameras. The ‘Leica à la carte’ program now offers the chance to further distinguish each Leica camera from any other with the choice of three different body versions for the Leica X2. In addition to the two standard models (in discreet black and elegant silver), the X2 is available in an exclusive, titanium-colored, anodized finish. The color and texture of the camera’s leather trim can be selected from a collection of ten different options. A diverse choice of colors ranges from a discreet black saddle-leather to full-grain cowhide in rich eye-catching colors like green, blue or yellow. Extravagant variations embossed with lizard and ostrich leather patterns are also available. Cameras become absolutely one-of-a-kind with personalized engraving, such as an important date or owner’s monogram, available on the flash cover or the top deck (front or back). Accessories, including carrying straps and camera protectors in colors and materials to match the camera leather, round off the selection and transform each personalized Leica X2 into a uniquely distinctive digital camera that is ‘Made in Germany’ by the skilled hands of trained craftsmen. The range of leather trim options can be viewed on the Leica Camera AG website at www.leica-camera.com. After configuration, orders for personalized Leica X à la carte cameras can be placed with select Leica dealers, including the Leica Store Washington DC, who are equipped with samples to illustrate the options offered by the program. Ideally suited for photographers aspiring to be spontaneous and in-the-moment as well as purposeful and inventive, the advanced technical specifications of Leica X2 à la carte cameras are identical to those of the standard camera model. For instance, the Leica X2 features an APS-C-format, professional CMOS image sensor with over 16.5 megapixels (effective 16.2 MP). In combination with the high-performance Leica Elmarit f2.8/24 mm ASPH. Lens, a classic focal length for photojournalism, this sensor ensures maximum image quality and sparkling brilliance. The camera’s profile is complemented by numerous setting options from full manual control to automatic functions and an intuitive handling concept. An elegant and stylish design coupled with a technical focus on the essentials makes the Leica X2 the ideal premium-class compact camera for discerning photographers who wish to concentrate completely on their subjects and who appreciate creative and true-to-life pictures. An extensive range of accessories is also available to allow the camera to be adapted to each photographer’s individual photographic style. These include a high-resolution Viso-Flex electronic accessory finder with 1.4 megapixels and a 90° swivel function, a bright-line optical viewfinder and an additional handgrip for better grip and safer handling of the camera.